Tracking the activity of a company’s mobile assets using GPS technology is an essential step for any business owner or operations manager looking to gain a deeper understanding of what’s going on when their vehicles are out there on the road. The improvements to efficiency, customer service, and operational costs are huge, and come with only a marginal investment. Geolocation technology is cheaper than ever before, and due to the breakthroughs in cloud computing, very smart people are working to bring unprecedented levels of sophistication to small, medium sized, and enterprise level companies. Real-time and historical reporting on drivers delivers better fleet management. 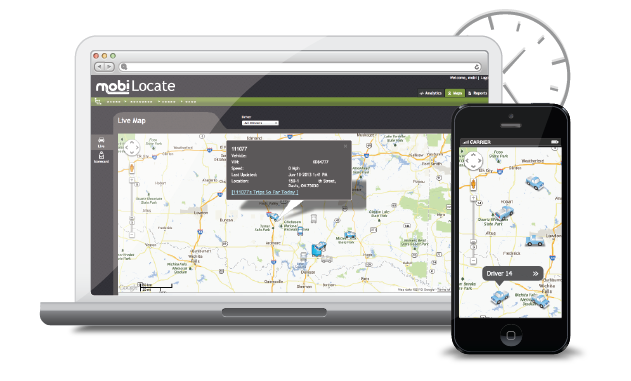 If you’re not using GPS tracking, you should. Global Positioning System (GPS) is a worldwide radio-navigation system formed from the communications of space satellites and terrestrial units. The Global Positioning System is mainly funded and controlled by the U.S Department of Defense (DOD). The operation of the system is based on the principle of trilateration, that is the exchange of location related data between the unit on the ground and three different satellites above. The GPS unit on the ground pushes (i.e. "sends") the position of the device as well as other information, like speed or vehicle trouble codes, at regular intervals to a determined server using a built-in cellular or satellite connection. There the data can be instantly analyzed and displayed to managers via a secure website. This vehicle data is used by fleet managers or business owners to get a clear picture of what is going on, either in real time or historically. This information can then be used to better establish execution plans, and then to monitor mobile workers in order to help them use their time more productively and be more responsive to customers. Providing maximum value with a variety of assets and numerous resources, all possessing their own unique skills while spread over a widespread geography, is a major challenge to any services provider. In this highly competitive age, where speed is always a major factor, utilizing GPS tracking technology is how to get and then maintain an edge. The benefits one can expect to see using a GPS tracker depends very much on what is being done with the data collected. Companies like mobi are leading the field in providing GPS processing power to produce insight and analytics with clear benefits to the user. The average mobi user can expect an increase of global efficiency by 15-25%. Adding a fleet monitoring system to your mobile workforce is a simple process. Plug N’ Play devices are simply inserted directly into the on-board diagnostics port of the vehicle. Once done they start transmitting data right away. Then, with a web-based application, or fleet management software tool, collecting and organizing the data is mostly an automated process. Having an idea of goals and aspirations before beginning this process can go a long way in terms of giving one some direction when sifting through the enormous amounts of data that can be collected. The benefit of software sold in a modular fashion, with computing and visualization features that can be added or subtracted as one sees fit, is that it’s possible for a manager to get all that they want and nothing they don’t. That’s important from a cost perspective, as well as simply not wasting time poring over details that don’t matter. Concern over costs of implementation is understandable. But don’t miss out on the fact that a solution of this type is not something that’s just bought, per se. It’s an investment. Fleet tracking will eventually pay for itself. If your vehicles are excessively idling, monitoring software can tell which vehicles are, and for how long, how often, where it regularly happens, and even if it’s happening right now! If a $50,000 truck gets stolen, mobi can help locate it for you. If an employee is using a company vehicle for side jobs, now there is a way to find that out. A handy tool to get an idea of how much money would have to be invested and then the expected return visit the ROI Calculator. ￼ If you’d like someone to talk you through the steps involved, just get in touch and we’ll be happy to answer your questions.